In January, the Central Bank of Azerbaijan revealed its ultimate goals for 2019 and clarified what was achieved in the previous year. The foreign policy agenda of the country was dominated by the unofficial meeting of President Aliyev and Armenian Prime Minister Pashinyan. In the domestic policy, human rights are in the spotlight again. Blogger Mehman Huseynov was due to be freed in March 2019 after the two-year sentence. He is a human rights defender, journalist, and blogger who documented corruption cases and human rights violations in Azerbaijan. Huseynov published a series of reports showing wealthy properties of Azerbaijani officials and criticizing the appointment of the first lady Mehriban Aliyeva to the post of the first vice president. However, only months before Huseynov’s release the new charges were brought against him. Allegedly, he had violently attacked Lieutenant Ali Aladdin, the senior inspector of the enterprise’s regimental-control department and caused a serious injury. If convicted to the charge, Huseynov would face additional 5 to 7 years in prison. In the meantime, the European Parliament adopted a resolution with 89% majority of the votes for immediate and unconditional release of Huseynov. The Council of Europe Commissioner for Human Rights and the OSCE Representative on Freedom of the Media have addressed Azerbaijan’s Foreign Ministry officials expressing their concerns about the situation. Following the event, thousands of people gathered at the protest rally in the capital Baku to demand the release of Mehman Huseynov and other political prisoners from the government. According to the opposition sources, the number of people in the streets was around 20.000. During the protests, the representatives of the opposition parties talked about the corruption, deteriorating economic conditions, and human rights violations. After one of the largest protests in the recent years, the international pressure and Huseynov’s six-day no-liquid hunger strike, President Aliyev ordered to review blogger’s case. As a result, the new charges were dropped and the activist is said to be released on March 3. The survey by the Working Group for a Unified List of Political Prisoners says that the current number of political prisoners is 128. During the meeting of the Central Bank of Azerbaijan (CBA), the Chairman Elman Rustamov talked about the monetary policy for the current fiscal year. According to him, maintaining the inflation rate at 4% and maintaining macroeconomic stability are the main goals of the CBA. “Interest rate policy will be based on achieving the inflation rate target. The decision on the parameters of the interest rate will be made by analyzing the macroeconomic processes in the country, dynamics of cyclic indicators, recent forecasts, and changes in the balance of risks”, he mentioned. He added that country’s GDP actually grew by 1.4% and the non-oil sector grew by 1.8% in 2018 which created favorable conditions for the economic growth. He further stated that the official currency reserves of the CBA increased by 5.5% to $5.6 billion. Talking about the management of the Central Bank, Rustamov noted that in line with the goals and objectives of the Bank, its statistical base has been improved; the institutional development process has accelerated; modern, electronic, and infrastructure-based continuous payment systems have been implemented; complex measures have been undertaken to strengthen cybersecurity; all information security systems have been provided with the modern virtualization infrastructure. “Diplomatic optimism” or “rose-colored glasses”? On January 22, Azerbaijani President Ilham Aliyev and Armenians Prime Minister Nikol Pashinyan held an informal meeting in Davos World Economic Forum in Switzerland. This is considered the third unofficial talk between the leaders. The first occurred during the CIS summit in Dushanbe in September, where the sides discussed de-escalation acts along the borders. Then in December, during the informal CIS summit in St Petersburg, parties met again and focused on exchanging captives and prisoners. However, no result was achieved. The third meeting continued for an hour and a half and the sides exchanged views on the current status of the negotiation process and future prospects. According to some local sources, during the talks the future meeting of Azerbaijan’s and Armenia’s presidents was agreed on, however, Foreign Affairs spokesman of Armenia Tigran Balayan has contradicted the news saying the formal meeting of the Presidents will only happen upon the proposal by the OSCE Minsk Group. He further added that even if this meeting occurs, it will only be a trigger for the negotiations process, not a solution to the conflict. PM Nikol Pashinyan speaking live on Facebook said that the parties discussed the possibilities and conditions of the settlement without any specific detail. “I would like to emphasize that the main focus of the discussions is all what we speak about publicly also”, Pashinyan added. During his interview with journalists in Moscow, the PM mentioned that he is only representing Armenia, not the Nagorno-Karabakh. “They have their own President and the parliament. I cannot hold a discussion on behalf of them. There are no results. Neither Aliyev nor I expected any results. We were just speaking, discussing”, he said. After the unofficial talks between the parties, the reciprocal confidence-building measures like the partial deployment of the paramilitary forces along the border give a sign about the diplomatic optimism. At least, it can be inferred that both sides wish for sustainable peace and are ready for constructive engagement. 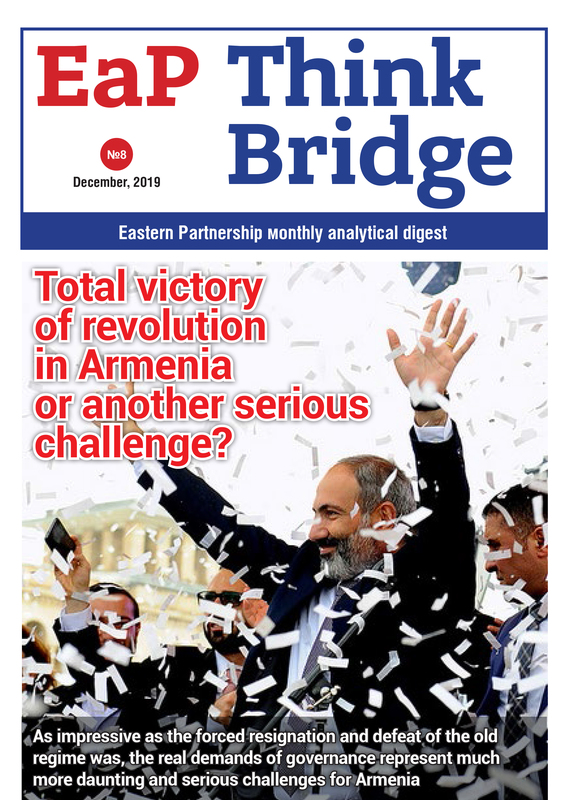 On the other hand, domestic political processes in Armenia and new leadership in Yerevan pose new questions, such as if Yerevan will change its traditional stance about the settlement and accept compromises or if it will follow the previous government’s attitude. On January 17, the Chairman of the Chiefs of Staff of the Iranian Armed Forces Major General Mohammad Baqeri and Azerbaijan’s Defense Minister Lieutenant-General Zakir Hasanov held a meeting in Baku. During the meeting, the activities of Iran-Azerbaijan Joint Defense Commission were reviewed and future prospects were discussed. Defense officials of the two countries signed the memorandum of understanding in order to boost defense and military cooperation.